A few days before the last FOMC meeting The Wall Street Journal reported on the Fed’s hand-wringing over its inability to identify the “natural rate of interest” and explain its recent movements. According to the report, the Fed uses the “mysterious natural rate” to guide its decisions in setting the target for the fed funds rate. Modern macroeconomics defines the natural rate of interest as the (real) rate of interest that maintains the economy in a Keynesian state of bliss, with stable prices (or moderate inflation) and actual real GDP equal to “potential” or full-employment GDP. Sovereign Debt – What Could Go Wrong? It has been reported that about $10 Trillion of sovereign debt “yields” negative interest. Assume total global sovereign debt is about $60 Trillion. Therefore, about one-sixth of all sovereign debt has negative interest rates. This brings to mind a few questions. Do negative interest rates sound absurd, even insane? Would bankers and central bankers in 2012 have believed that interest rates could be pushed so low they actually went negative? Does anyone see a problem with negative interest rates? BREXIT: On June 23rd, the British voted 52% to 48% to exit the European Union. No doubt many political commentators were very surprised. It’s too early to forecast how this exit will take place and what will occur. The financial markets reacted strongly in a negative fashion, but such reaction is typical when faced with a political shock. It appears that many in Britain are dismayed by economic and political controls administrated by an autocratic bureaucracy centered in other countries. Early reports showed that the industrial areas of the Midlands and Yorkshire heavily favored the exit. It would be interesting to see a competent analysis of what influence, if any, increasing electricity prices may have had on the vote. Because it would work as CO2 became plentiful! 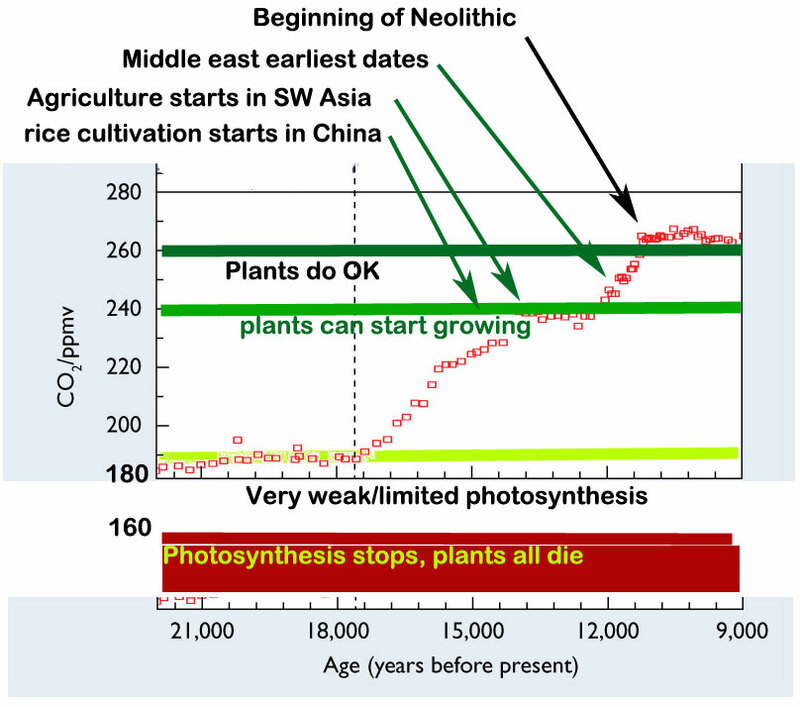 All the academic articles say: “and then agriculture happened”. ….here was no single factor, or combination of factors, that led people to take up farming in different parts of the world. But It is simple: it occurred because it Started Working.. 13,000 years ago. If it doesn’t work, it won’t happen. So, my conclusion is that over 4,000 years or 160 generations, things improved and they tried, and tried, and tried again until it worked: people are smart. …and animals actually could be pastured. Starting 14,000 yag, the sparse, scraggly growth started getting thicker and slightly more abundant. It wasn’t very good, but is was much better than 16000 yag. => and clever people could keep various animals alive in a herding lifestyle. There were several actions required to create the tangled web of deception relating to the claim that human-produced CO2 caused global warming. It involved creating smaller deceptions to control the narrative that instead of creating well-woven cloth became the tangled web. The weavers needed control of the political, scientific, economic inputs, as well as the final message to the politicians to turn total attention on CO2. Their problem was the overarching need for scientific justification, because science, if practiced properly, inherently precludes control. Properly, you go where the science takes you, by disproving the hypothesis. However, before the planners could get to the science, they had to establish the political framework.